So what’s the coolest part of making yarn and selling it? You are going to think I’m going to say something like ‘getting paid’ right? Although that is definitely helpful, the COOLEST part is when I get to see my yarn all grown up into something. Up until recently, I’ve only gotten to see my yarn grown up into creations I made. I never got to see what other people have done with it. I will often send a note along to the people who buy my yarn, letting them know if they’d like to share a picture of what they make, I’d love to post it to my blog. 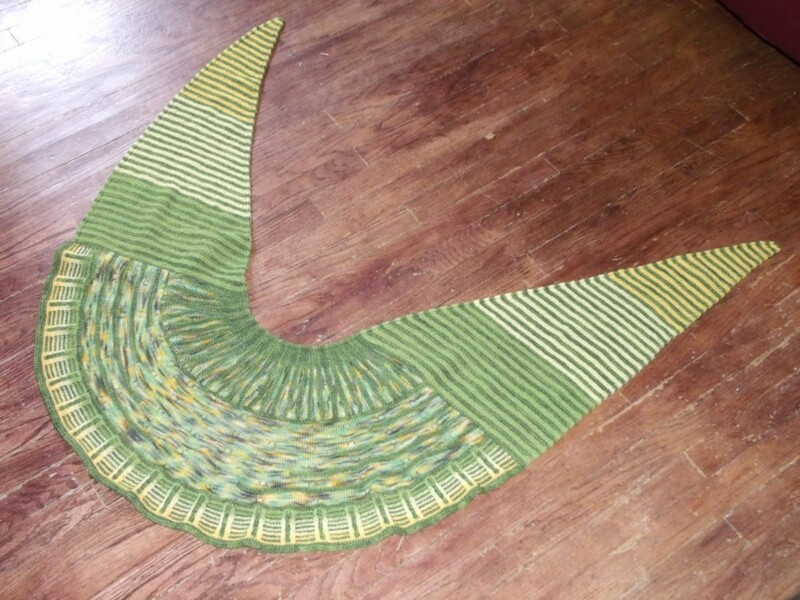 Well, are you ready to see some beauties that have been knitted with Mustard Seed Yarn Lab yarn? I only WISH I could knit something as complicated as these! I have yet to try mixing colors to make anything other than stripes. 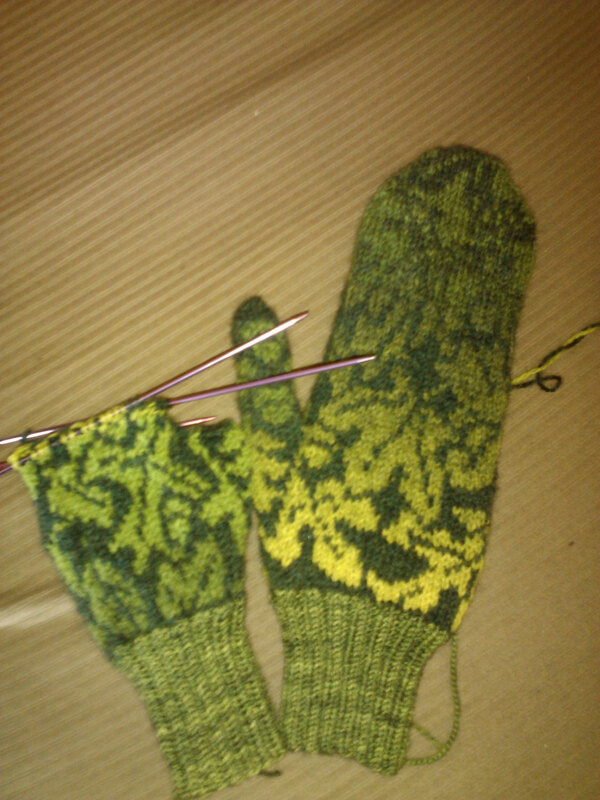 Above are the Woodland Winter Mittens. I’m so proud! You’d think I made them myself or something. Thank you, Patti, for sharing with me! You were the first person to do that! WooHoo!! It looks so great! I think she’s going to block it to make it even bigger. That will be one lucky baby boy. Thanks for sharing Denise! So do you see what I mean? The most fun part of all of this is making something I know that someone else will turn into something even more beautiful. I look forward to seeing and sharing more pictures from people who’ve chosen my yarn. 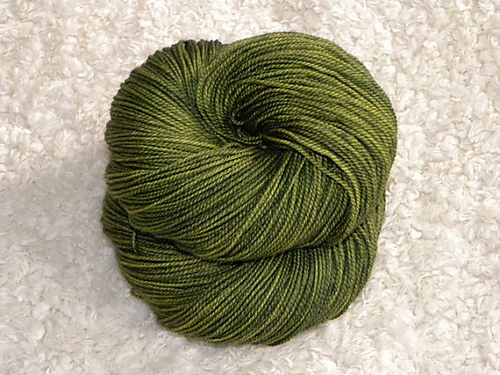 I have met so many super nice people buying my yarn on Etsy. I’ve even made few new friends. 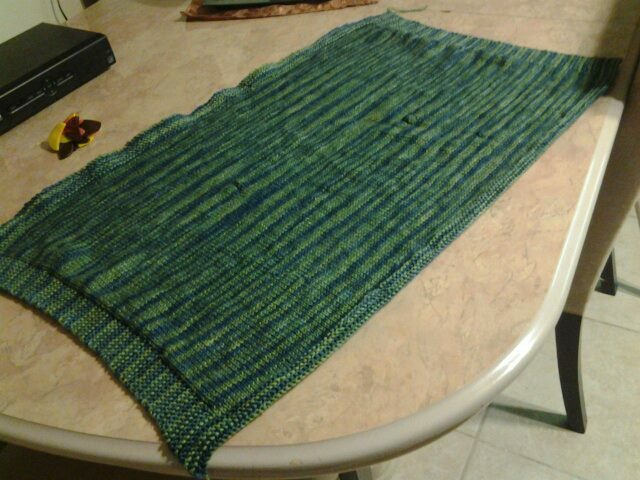 So if you are reading this and you have bought any Mustard Seed Yarn Lab yarn, please feel free to share a picture of the finished project with me. I’m sure everyone would love to see it, and I would love to show it off for you! That is wicked cool! I got to see pictures of a blanket someone made following a tutorial that i did. It was very gratifying. I love that shawl up there!! Wow sis – that is sooo very cool. I really like the green. My beloved sister. You have been nominated for the illuminating blogger award on my blog. Please take a look. You don’t have to do anything about it – I just wanted you to know that if you want to pass it along you can – and I think you deserve it and you should be posting more to your wonderful blog that I love so much.